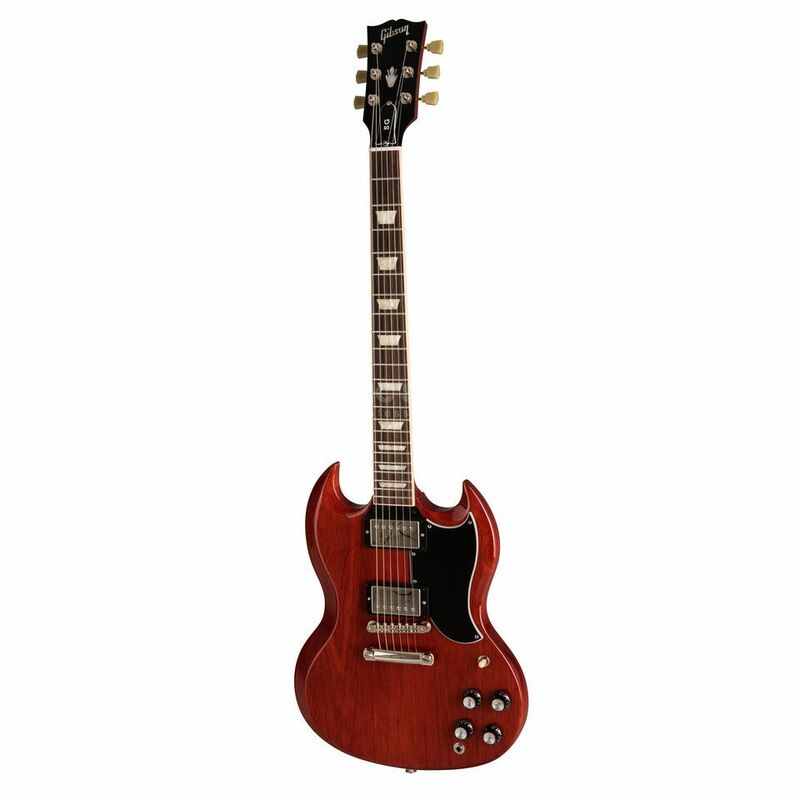 The Gibson SG Standard '61 2019 Vintage Cherry from the Gibson US 2019 Line-Up represents classic specifications of the original Gibson SG from 1961 and convinces with sound, look and feel of the original. Accordingly, the classic mahogany body of the SG Standard '61 2019 features the original body scarfing of the early sixties, while the mahogany neck with its proven slim taper profile conjures up a classic SG feeling in all registers. Two Gibson 61R and 61T humbuckers in neck and bridge position deliver coveted PAF sounds with additional power and are controlled via the proven circuitry with 3-way toggle and individual volume and tone controls. Last but not least the SG Standard '61 2019 is completed by a 5-layer pickguard in Sixties style and vintage-correct hardware. Traditional shapings, a vintage cherry finish and two 61R and 61T PAF-style humbuckers are all part of the Gibson SG Standard '61 2019 recipe. I great guitar, Gibson on the right way again.